May be some of you have noticed that when you add a gadget or widget to your blog it will show up on every page of your blog. And many of you want to show widgets on specific pages for example if your blog contains contact page or sitemap and there is no need of search box and few other widgets, so you want to hide them on these pages. (1). 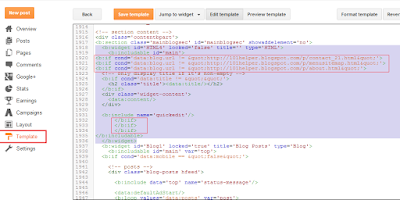 The first step is to name all the widgets on your blog by going to layout to make it simple for you to find the widgets in html of you template, so name all the widgets or a specific widgets which you want to show or hide. Remember to give a unique title to every widget to avoid any confusion. (2). 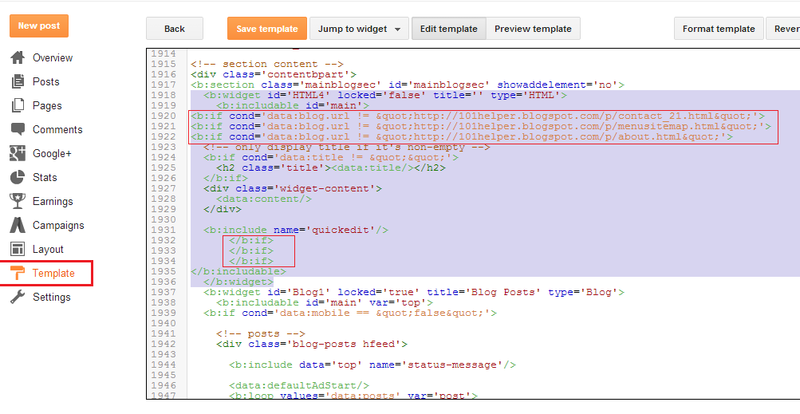 After naming the widgets go to template and click edit html, as shown in below image. (3). Now jump to widget which you want to show or hide. Or if you can't do that find the name of the widget by using the combination of Ctrl+F. (4). Now search for the widget which you want to hide or show either by Ctrl+f or by Jump to widget directly. Suppose you are searching for search box widget and you want it to be hide on some pages. Replace Link of page with the link of the pages on which you don't want to show the search box or another widget, as I want to hide the search box in my blog's contact,sitemap and about pages therefore I have to add <b:if cond='data:blog.url != "Link of page"'> between <b:includable id='main'> and <!-- only display title if it's non-empty --> in the widget's code. similarly if you want to hide any widget in one or many pages then paste the above code for each page where you don't want the widget to show up. Remember to add </b:if> for each time you add the code mentioned in step 5 otherwise template will not accept code. (7). After following above steps save the template and your are done! After adding this code the gadget will only show up in post pages. It will hide that gadget from other pages which you create and also from home page and index(category page which show all posts of a category). Just paste this code <b:if cond='data:blog.pageType == "item"'> below <b:includable id='main'> and close it by </b:if> as shown in step 6 above. Those pages which you create e.g Contact page, about page, disclaimer page etc are static pages to show a gadget on these pages only then add <b:if cond='data:blog.pageType == "static_page"'> below <b:includable id='main'> and close it by </b:if> as shown above in step number 6. If you want to show a gadget on a category/label page use this code <b:if cond='data:blog.url == "Link of category/label page"'> below <b:includable id='main'> and close it by </b:if> as shown above in step number 6. 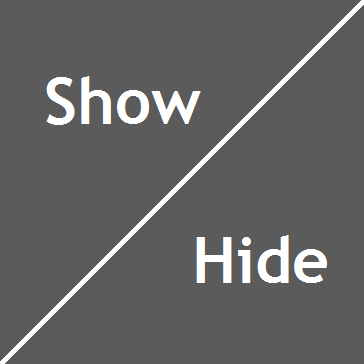 Use the below code to hide a gadget or some text inside the template in mobile phones. This code will prevent it from showing in mobile phones. It will show the gadget or text or some code only on desktop. If you have a gadget that you would like to show only on mobile devices like search box for blogger mobile site only then you can do it by adding the following code below <b:includable id='main'>. this code will show certain gadget in mobile devices only. Don't forget to add </b:if> before </b:includable>. I hope you liked this post Don't forget to subscribe to 101Helper via Email and sharing this great article with others. If you have any problem ask me in comments. 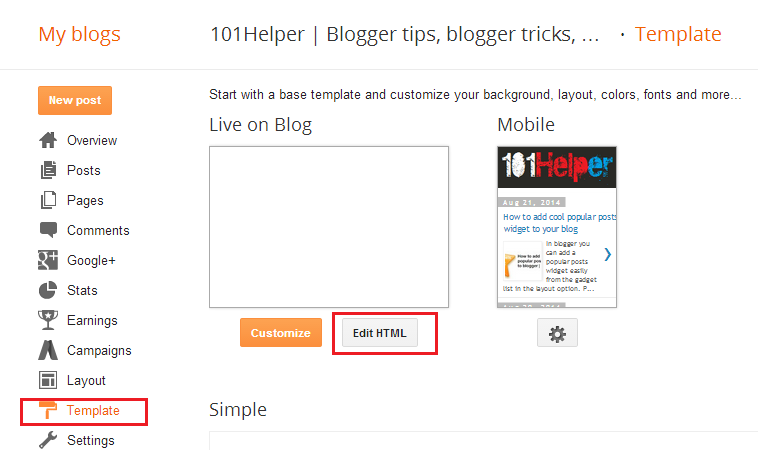 Search Tags: How to show and hide widgets on specific pages in blogger, hide a widget in blogger pages,101helper, tips and tricks for blogger, widgets and gadgets for blogger. Thank you so much for this! Now I don't have my email sign up in the layout showing up on the Thank You page! Hooray! I am glad to know that it helpwd you, thanks for your feedback its really appreciated. i want to show gadgets in specific lable post only how to do? How to hide widgets on specific pages in mobile? Use same XML codes as shown in this post it will work same as desktop but you have to enable custom mobile template first. I used the code to removed a widget from a specific static page url. The result is that the widget was removed from all pages. Any solutions? This is because you have used code for all static pages. Just replace it with < b:if cond='data:blog.url != "Link of category/label page"' > and add link of the page in which you want to remove the gadget. Use above code and replace "Link of category/label page" with your page link in which you want to remove gadget.